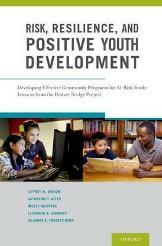 Risk, Resilience, and Positive Youth Development: Developing Effective Community Programs for High-Risk Youth: Lessons from the Denver Bridge Project describes an approach to developing and testing effective community-based programs for at-risk children and youth. This book shows how elements of risk and resilience, positive youth development, and organizational collaboration are used to develop a comprehensive intervention framework called the Integrated Prevention and Early Intervention (IPEI) Model. The IPEI is then applied to a community-based after-school program called the Bridge Project to illustrate how an integrated intervention framework can be used to prevent childhood and adolescent problems and improve academic achievement. Findings from an evaluation of the Denver Bridge Project intervention components are presented, and recommendations for advancing policy and practice for high-risk youth in community-based programs are described.